The quest for a vast, all-inclusive network of Carrboro greenways began with a vision that many town officials and residents had years ago. It was a vision that inspired dreams of a multimodal alternative transportation system, one where recreational pursuits and environmental protection could flourish together. Now, two greenway corridors are in the works — a north-south spine, called Bolin Creek, and an east-west spine, known as Morgan Creek. Both projects include multiple construction phases. 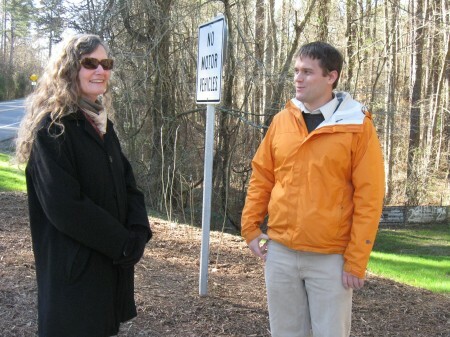 “Given the interest our community has in alternative transport and recreation, we’re excited that some of the greenways are finally coming to fruition,” said Carrboro Board of Aldermen member Lydia Lavelle. The Wilson Park multi-use path, which connects Estes Drive to Greensboro Street and is considered phase 1A of the Bolin Creek project, is nearing completion, said transportation planner Jeff Brubaker. Later this year, he said, attention will shift to phase 1B, a path running from Homestead Road to Chapel Hill High School. A ribbon-cutting ceremony for Wilson Park is scheduled for March 21, said Carrboro project manager Racquel Benedict. Benedict said she has been working with landscapers and planners to address any final concerns with the path before the route is completed. Greenways have been a major topic of Carrboro conversation since the 1970s — but original developments were plotted to run through residents’ backyards, and the public voted them down. In response to the concerns, the town acquired land easements and, in 2008, hired planning company Greenways Inc. to help design paths that didn’t impose on residential areas, said Trish McGuire, Carrboro’s planning director. That process, along with the construction costs, has caused financial concerns for Carrboro — although McGuire said federal grants have helped alleviate some of the price tag. “We worry about money every day, to be honest,” she said. But the versatility of greenways makes them worth the investment, said Brubaker. If designed correctly, he said, they can be used sustainably for non-motorized trips. “Extending the current system of multi-use paths and having them link Carrboro with Chapel Hill are big steps forward for the town,” he said. Ultimately, Brubaker said, the greenways should connect Carrboro to future developments like Carolina North, Carolina Commons and Chapel Hill’s own greenway system. Pedestrian traffic has already begun to frequent the Wilson Park path. Linking the neighboring cities via greenways has prompted rave reviews from the local running and biking community. 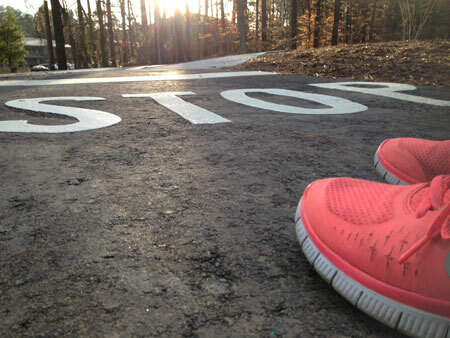 Brian White, co-owner of Fleet Feet Sports Carrboro, said the large population of active people in Carrboro will relish the greenways’ benefits. “As many opportunities as are available to provide a safe and fun environment for exercise and recreation — that’s a good thing,” White said. UNC-Chapel Hill senior Briana Jackowski, who lives in Carrboro and runs there regularly, said she’ll be thrilled to try out the new tracks later this year. Jackowski is a member of UNC-CH’s club cross-country team. “As an avid runner, new and safe places to run are always appreciated, especially to help avoid traffic and lights,” she said. Given the expected recreational use, pedestrian safety — particularly minimizing street crossings — has been a priority for the paths, Brubaker said. But jubilant joggers and bikers shouldn’t get too excited just yet. Construction on the Wilson Park path only began last year — nearly four years after the concept plans had been finalized. Besides finances, much of the reason for delay was opposition that surfaced in late 2009 to certain segments of the new greenways. Save Bolin Creek, an environmental advocacy group, published an online petition against the greenways that garnered almost 1,500 signatures. “People were worried about the greenway coming close to people’s properties and about the ecological footprint of a path placed near a creek,” Brubaker said. Linda Haac, a 35-year Carrboro area resident and an active member of Save Bolin Creek, said the placement of harmful pavement near the two creeks has been the group’s chief concern. There are several environmentally sensitive areas along Bolin Creek where the advocacy group opposes any development, Haac said. A part of Morgan Creek’s plan has also been realigned to include paving on both sides of the creek, which Save Bolin Creek doesn’t support. “Less pavement in natural areas tends to be the better option,” Haac said. Contentious greenway talks seem to have settled down for now — but if controversial phases return to the table, Haas said the environmentally conscious in Carrboro will make their voices heard. “Our goal continues to be preserving, protecting and conserving Bolin Creek, which is our natural treasure for everybody to enjoy,” Haas said. Brubaker said Carrboro officials would try to have a public input process before revisiting the disputed aspects of the paths. “We’ll have to see what the community wants to do next,” he said. Despite obstacles to the greenways’ completion, Brubaker is adamant that the town will see the projects through. He noted that local impact will be huge. For example, he foresees children being able to walk or bike in groups to school once the paths are done. Lavelle said she and town officials foresee a future when people can travel from one end of Carrboro to the other, entirely on greenways. “As we keep moving forward with implementation, that’s our ultimate goal,” she said.